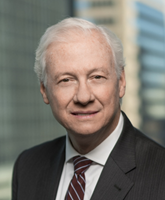 Jack Selden, a partner in the White Collar Criminal Defense, Litigation and Health Care Groups, has practiced law for 30 years. Previously he served as both the United States Attorney and as an Assistant U. S. Attorney for the Northern District of Alabama. While United States Attorney, he established the Affirmative Civil Enforcement (“ACE”) Unit of the United States Attorney’s office, responsible for investigating and prosecuting all fraud and qui tam actions under the False Claims Act. He also established the Huntsville branch office of the United States Attorney, enhancing the ability of the United States to investigate and prosecute defense procurement and other fraud cases. Jack currently serves as a Vice Chair of the ABA Criminal Justice Section. Jack also serves as Chairman of the “DOJ Dialogue Group” committee of the ABA’s Criminal Justice Section, which meets quarterly with the Attorney General of the United States and other leadership within the Department of Justice to discuss criminal justice issues. In the areas of white collar criminal defense, internal corporate investigations, and corporate compliance, Jack defends clients accused of criminal violations at the federal and state levels. He also has extensive experience in complex civil litigation, including cases arising from federal fraud investigations under the Federal False Claims Act and qui tam whistleblower actions. Jack litigates cases involving health care and defense procurement fraud, securities and financial fraud, FHA mortgage fraud, "off-label" pharmaceutical matters, and antitrust and environmental crimes. Jack regularly represents corporate and individual clients under investigation by the Department of Justice, various offices of United States Attorney and Inspectors General, the Securities and Exchange Commission, and the Department of Defense, as well as various State Attorneys General. Jack’s clients include hospitals, home health, hospice, and other healthcare providers, defense contractors, banks, manufacturers, and a long list of corporations and individuals. From a parallel federal criminal investigation and civil action relating to allegations of a massive financial fraud to allegations of significant Medicare fraud, pharmaceutical and securities fraud, his clients rely on his extensive experience and skillful guidance, as well as his courtroom abilities, to resolve challenging situations. Jack’s clients include or have included HealthSouth Corporation, Raytheon Company, Chevron, Caddell Construction Company, Golden Living, AseraCare Hospice, Tenet Healthcare, McWane, Inc., Centex Corporation, and Charter Communications.